Xiaomi Redmi Note 7 Pro Official: Here are all the specifications and prices! 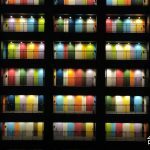 Home » News » Xiaomi Redmi Note 7 Pro Official: Here are all the specifications and prices! 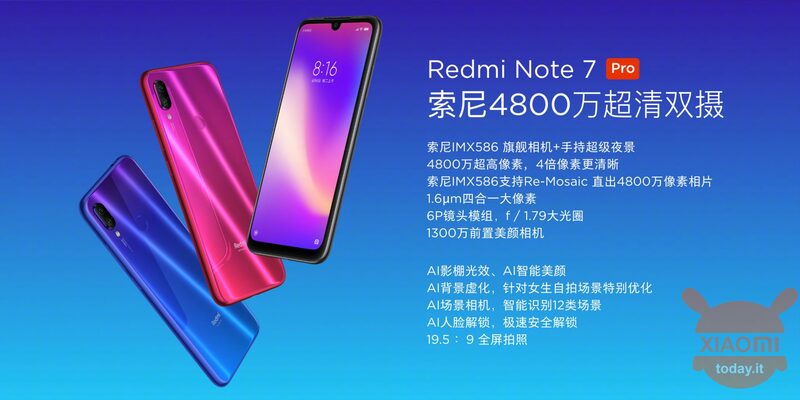 The long awaited and wanted (even before knowing the price) Xiaomi Redmi Note 7 Pro has finally become reality today, more than two months after the presentation of the younger brother, the Redmi Note 7. As some of you will know however, the smartphone has actually already been presented in India last 28 February, so the one to understand today is whether all the specifications will be confirmed and what the price will be in China, or the country from which we usually buy . Read on to find out more! Xiaomi Redmi Note 7 Pro Official: Here are all the specifications! Let's start with design. 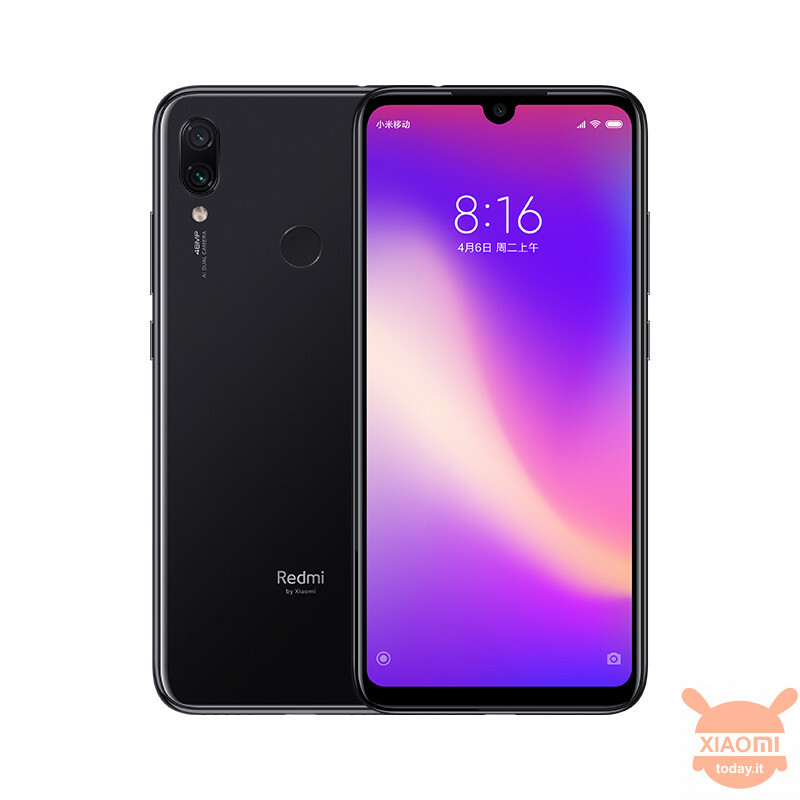 Here the smartphone does not surprise us in any way as it is the identical copy of the Xiaomi Redmi Note 7 presented last January 10. We have the same back cover in gradient color of purple, blue and black. Both the back and the front are then covered in Corning Gorilla Glass 5, or an ultra-shock-resistant glass. Il display del Redmi Note 7 Pro is always an IPS with a diagonal of 6,3 inches and Full HD + resolution (1080 x 2340). On the display we also have the inevitable drip notch in which the front camera is hidden. Moving inside the device, we find the main difference compared to the non-Pro version, namely the Qualcomm Snapdragon 675 processor that makes the Note 7 Pro the new flagship of the Redmi brand. The Snapdragon 675 it is supported by an excellent one Adreno GPU 612, from 6GB of RAM and 128GB of internal memory expandable via microSD card. However, the CPU is not the only hardware component that has been replaced by something more powerful. 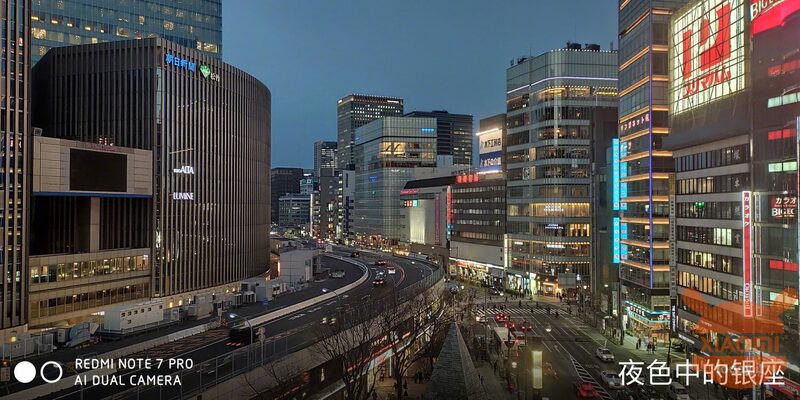 The main camera sensor has also been upgraded to a Sony IMX586 from 48MP which uses Quad Bayer technology to merge four pixels into one, reducing the resolution to 12MP but bringing with it advantages such as noise reduction and higher photo brightness. The other cameras instead remain the same, with the secondary back from 5MP to create photos with bokeh effect and the frontal from 13MP for high resolution selfies. A very important factor in the Note series is autonomy and fortunately Redmi has made no change in this regard. In fact we always find a roomy battery 4000mAh for at least two days of autonomy, with support for fast charging Quick Charge 4.0 up to 18W (it will also come with 18W battery charger) through the door USB Type-C.
Other specifications on board include the presence of impermeability with the P2i technology, Bluetooth 5.0, GPS, A-GPS, GLONASS, BaiDou, 3.5mm audio port and IR transmitter. Unfortunately we confirm the lack of NFC also on the Pro version. We conclude the post with the detail that perhaps interests most of you: the price. 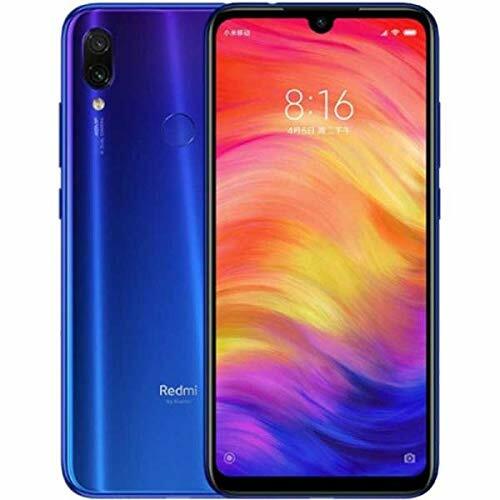 The Xiaomi Redmi Note 7 Pro was launched in China at the 1599 Yuan figure, or about 210 € at the current exchange rate, for the version with 6GB of RAM and 128GB of internal memory. Well! But when will it arrive on our market? How much will it cost? Will there be red coloration? Will it be water repellent as it was called? Samples of xiaomi hype! We suspect between about 1 / 2 months as with Redmi Note 7 on 260 € (or more). For the coloring and water repellency in theory yes, as for the Chinese version. Then you know I take the note 7 (without pro😁). But for the note 7 there is no red coloration? I don't think there is a red, there is a violet gradient, blue and black. However if you really want the Pro version you can also wait for it, but it will be pretty because for what we know at the moment it is only available with 6GB of RAM and 128GB of memory. 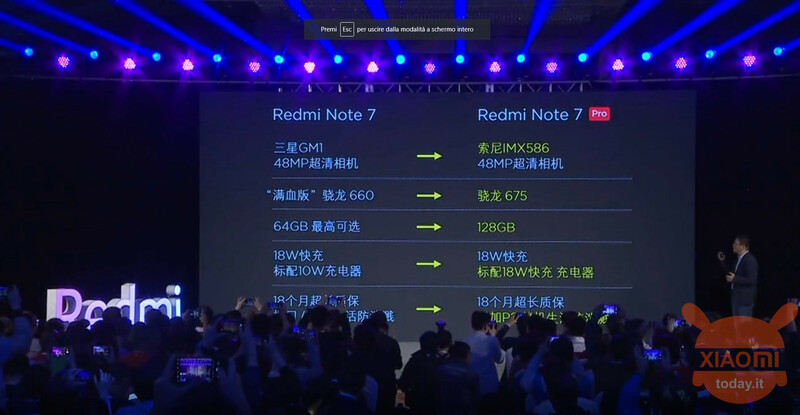 So a Redmi Note 7 with 4GB / 64GB will definitely cost you much less. How to buy it? Is it better to wait in store in China or buy it in advance? 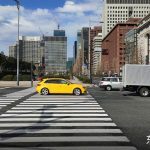 If you are in China, you should buy it there. In Italy it will come later and will certainly cost more. This seems to suit you in English. I cannot confirm that it will become updatable in Italian. Will it come out in Italy? When? NFC is not really present or only not enabled via software (using googlepay would be useful). If I bought it from China could I then install a global ROM with ease? Is there any guide on this? Certainly, as Redmi Note 7 arrived, so a few months later. 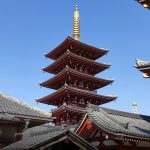 The NFC is not in hardware, it cannot be enabled via software. As for the ROM, I believe it is becoming increasingly difficult to install the Global ROM on China Stable devices, so take it immediately only if you would like it in English. Otherwise, wait until you see how things are going with this particular device and after you buy it. In any case continue to follow us because we will definitely talk about it! Thanks for your answer. We hope arrivals before 2 months xke my Huawei P9 lite can't take it anymore, but I want to trust Xiaomi, or rather Redmi !! Do you know anything about water resistance certification? Will he arrive in Italy (20 band)? Greetings to all. It seems that there is not the typical certification, they only say the treatment used (P2i) and that in theory it is water repellent. We would have hoped for a real certificate to be certain. For the 20 band, you have to wait for another one just before a sure answer. Bonsoir g cru includes the version redmi note 7 pro concerns uniquement le marché asiatique. ... est ce que cela if confirme? We don't know yet. We still hope for a global version. I was very interested, but unfortunately I killed my beloved Mi5 and I had to fall back on Redmi Note 7 4 / 128, which fortunately arrived today exclusively on Amazon. Now I just have to wait for Monday ... which will never be 96 hours ... .95 and 59 minutes ... .... 95 hours and 58 minutes …… ..